How dependent have we become on our mobile devices?! A recent Telegraph article highlighted that we spend on average a whole 24 hours a day online in a given week. That is twice as long as 10 years ago, with one in five of all adults spending as much as 40 hours a week on the web! But what exactly about the way we use those 24 hours of screen time is the most troubling? 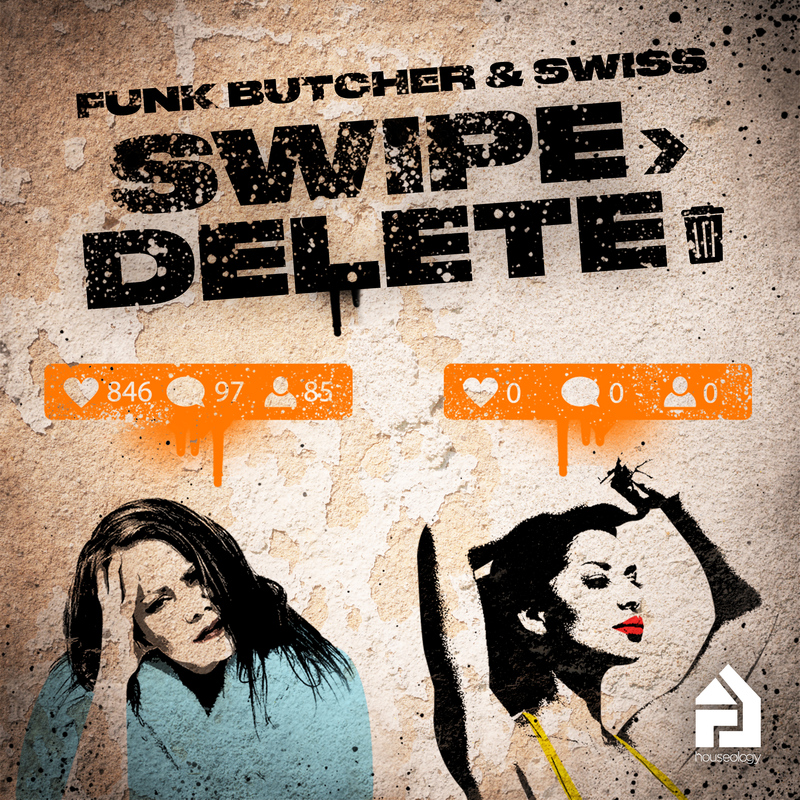 Swipe Delete allows UK Hip-Hop legend Swiss to cleverly articulate our collective dissonance to online social media etiquette. Funk Butcher provides nostalgic grooves which give a respectful nod to the ’95 era of US Garage, whilst embracing the contemporary demands of the dance floor. Ironically, the combination is dangerously addictive House music!